» See a bigger view! 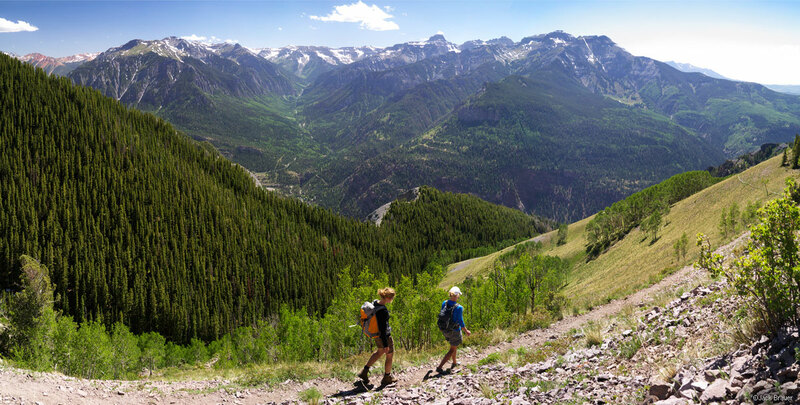 Here’s a snapshot pano from an utterly relaxing hike on a gorgeous June Sunday on my favorite trail of all around here – the Bridge of Heaven, high above Ouray, Colorado, with the Sneffels Range in the background. While I’m in the snapshot posting mood, here’s another one from a couple weeks ago, atop Twin Peaks, a rocky pinnacle on the opposite side of the Ouray valley from the first photo above. I gaze at the rocky pinnacle of Twin Peaks from my office window every day, often wishing I was up there looking down rather than down here looking up! 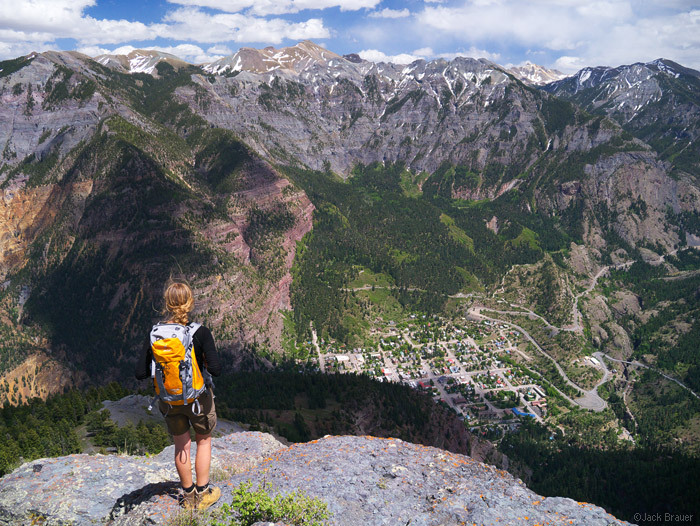 Posted in Colorado and tagged Colorado, Ouray, San Juans on June 11, 2012 May 19, 2013 by Jack Brauer. ← Previous: "Dunes and Sangres"
Wow, gorgeous pics. I really really need to get there this summer.